Gov. 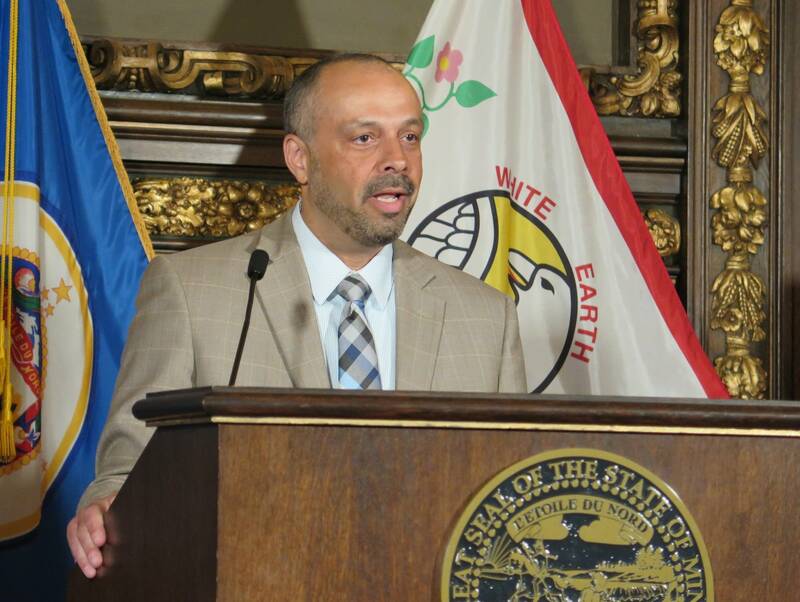 Tim Walz filled his final cabinet vacancy Tuesday when he named Tarek Tomes as commissioner of Minnesota IT Services. The information technology agency, known as MNIT, oversees the state's computer systems and has been faulted for the high-profile poor rollout of the MNLARS vehicle licensing system. Walz said Tomes' hiring was critical because Minnesotans need to trust technology in state government. Tomes, 50, most recently served as chief innovation officer for the city of St. Paul. He previously served six years as a Minnesota IT Services assistant commissioner and 13 years with British Telecom. He'll take the helm later this month at an agency of 2,300 that's constantly battling cybersecurity threats against state computer systems. "We have to make sure that we instill a culture where we're not scared to fail," he said. "Certainly, some of the project outcomes have been very, very public. But we have to instill a culture where as technologists, we're bold with the vision we set forth." Asked about his plans for MNLARS, and whether the system should be privatized, Tomes said it was premature to comment. "We won't make those decisions in a vacuum. But we will make the most prudent decisions, even if they're difficult decisions, to make sure the services that are provided by MNLARS, for example, are successful," Tomes said. State Rep. Jim Nash, R-Waconia, said he is cautiously optimistic about Tomes. Nash, an IT professional who was offered the commissioner job and turned it down in January, said he talked briefly by phone with Tomes before the announcement. "I think he really does recognize that there is a lot that's broken, and it needs to get fixed quickly and that there will be some difficult conversations that come as the result of things that are going to be proposed to fix," Nash said. Since Walz took office, Bill Poirier, the agency's chief technology officer, has been serving as acting commissioner. He replaced Johanna Clyborne, who was commissioner under the Dayton administration. All of the Walz cabinet appointees must still face confirmation hearings and votes in the Republican-controlled state Senate.